recorded their first full-length album including the debut single “Cursed Wolf”. The album consists of nine tracks including the Sabbath heavy “Bleeding Trees”, the trippy “Don’t Leave It Behind” and the heavy psych rolling “Daughter of the Snows”. The digital release comes with the bonus track “Phoenix”. 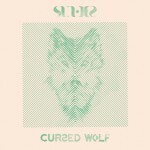 On September 11th, 2015, the band release the album track “Cursed Wolf” as a single on a silver foil stamped 7” flexi disc (also carrying a demo version of the very same song). The self-titled album is set to be released on October 30th, 2015. Produced by Julien Masson and engineered by Raphael Cartellier. 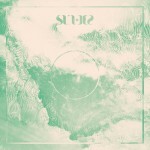 The artwork and layout is made by Simon Bonnefoy. in October together with Harsh Toke (US). Additional Info: All songs written by Sunder. Produced and mixed by Julien Masson. Engineered by Raphael Cartellier at Cartellier Studio. Mastered by Altho Studio. Artwork and layout by Simon Bonnefoy. Additional Info: All songs written by Sunder. Produced and mixed by Julien Masson. Engineered by Raphael Cartellier at Cartellier Studio. Mastered by Altho Studio. Artwork and layout by Simon Bonnefoy. Silver foil stamped flexi housed in folded cardboard sleeve.